These beautiful, fast and classical keel boats are timeless. Just take a look at the British Dragon Association website. Originally designed in Norway and first built in 1928, the Dragon became an Olympic class back in 1948 and today there are over 1400 boats racing worldwide. This Dragon has been rescued and lovingly restored over the last few yeas by a professional boat builder locally here in Plymouth. He has now reluctantly decided to sell her due to other commitments but would like to see her taken on by an equally enthusiastic sailor. For a budding traditionalist who likes speed, beauty and excellent sea keeping abilities, these boats are hard to beat. On at a very fair price and not to be missed, just contact us here at Boatshed Plymouth to arrange a viewing or for more information. 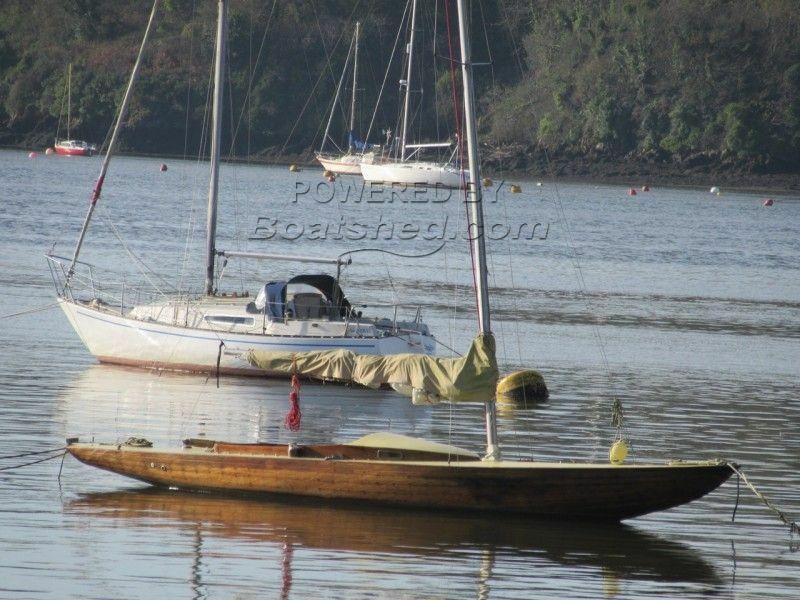 This Dragon 29 has been personally photographed and viewed by Billy Hallam of Boatshed Plymouth. Click here for contact details.